Children today are native digital citizens, and CyberSpace is increasingly becoming a more important part of their lives. It is imperative that we as parents, teachers and caregivers understand the realms of the online world and how children generally fare in this largely unchartered space. Only then can we design the proper interventions to make the internet a safer place for our children. 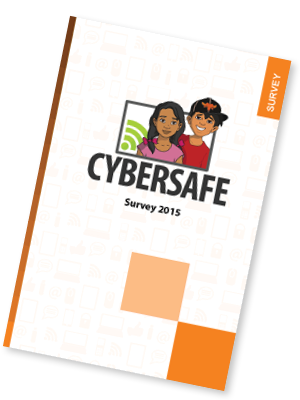 This CyberSafe survey is an attempt to understand how children live online. We asked 1,268 children aged 7-12 and 1,143 children aged 13-16 how they use the internet. All are school children and come from the areas of the National Capital Region, the municipality of Silang in Cavite, the municipality of Zamboanga Sibugay, Bayawan City and Bacolod City in the Negros province, Cebu City and the Municipality of Tui in Batangas. Most of the results presented are age group desegregated, while some cover both groups. Throughout the conduct of the survey, facilitated via CyberSafe sessions conducted by a number of “Break the Silence” partners, we made sure to inform children on how to get help, if they are facing an online problem. The survey presented is meant to address a gap in data concerning Child Online Protection (COP) in the Philippines and serves as an update to a similar research Stairway and the Break the Silence Network conducted in 2013. Although we can’t claim that the results are fully representative of the whole age groups interviewed, they certainly offer important insights we can learn from.